A great and very close game of rugby was played on Wednesday by the under 8 B’s against Ashdown House, with the Copthorne boys winning 17 tries to 16. Despite playing longer halves than usual, the boys held it together and displayed some great skills and teamwork such as defensive communication and quick passing. 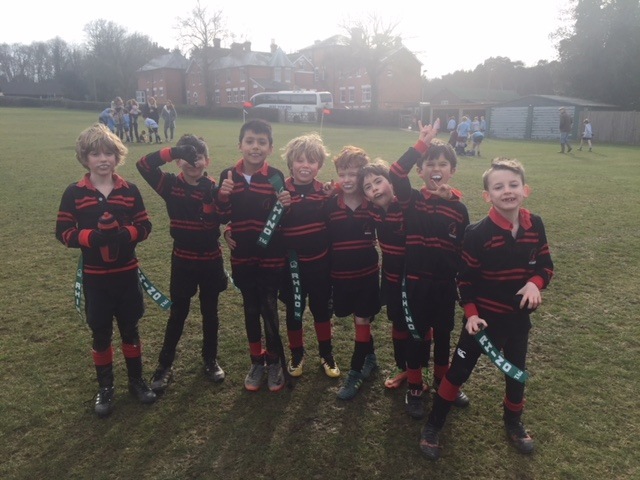 It is great to see how far the team has progressed throughout the term, with many improvements being made, particularly involving passing, remaining in a defensive line and running the ball forwards. Special mentions go to Caelan D for an assortment of brilliant tries and to Louis K for his commitment in defence! Well done boys!